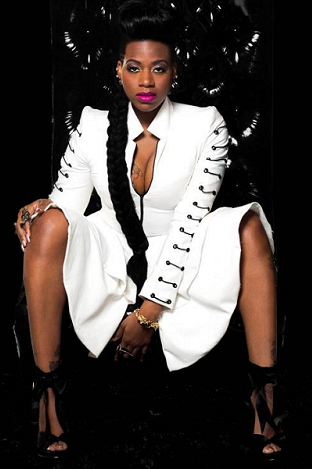 RAW HOLLYWOOD : NEW MUSIC: FANTASIA "GET IT RIGHT"
NEW MUSIC: FANTASIA "GET IT RIGHT"
As the release date of Fantasia's new album Side Effects of You gets closer we get a peak into her rock/soul world with a new track titled "Get It Right". Over the past week two other tracks have hit the internet one being "Supernatural Love" featuring Big K.R.I.T & the other "Without Me" featuring Kelly Rowland & Missy Elliott which is her next single from the album. "Get It Right" is a up-tempo & feel good record that shows a different style of Fantasia as a artist & has a old school vibe.